There are two kinds of people: those who love Frequency and those who haven’t seen it yet. Those are the words of my younger brother Kevin. He has been asking me to review Frequency almost since I created the Deja Reviewer website more than five years ago. I’m sorry for taking so long to finally get to it. If you have not seen this movie, please drop what you’re doing and watch it immediately. It’s so good. It’s a time travel movie unlike any other. It uses time travel to tell a gripping crime drama spanning decades. You keep thinking the film is going in one direction until it pulls the rug out from under you and finds a whole new avenue to explore. Join me as we discover what a freakin’ awesome movie Frequency is! Frequency starts with a bang as we’re introduced to a cavalier firefighter named Frank Sullivan. During a dangerous rescue operation back in 1969, Frank barely manages to save several lives, including his own, from an explosive fire. It’s a thrilling way to open the film, and it also gets us instantly invested in Frank’s story. We want to see him live on after coming so close to dying in a noble cause. In 1999, Frank’s 36-year-old son John uncovers his father’s old ham radio in his house. He gets it operating again and he tries broadcasting. In both 1969 and 1999 there is an unusual phenomenon occurring where the northern lights are appearing as far south as New York City. John begins communicating with a mysterious ham radio operator who is a big Mets fan, just like him. John tells him about the Mets and how they wound up winning one game in the 1969 World Series. The plot thickens when we slowly discover that John is having a conversation with his father in 1969 via the same ham radio 30 years apart. 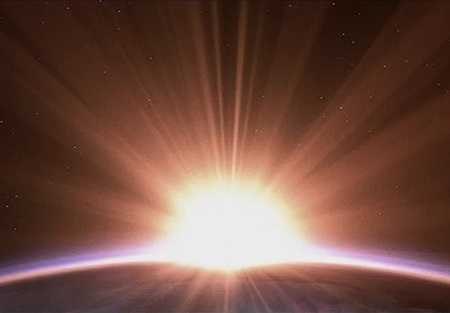 The sun is having some kind of unique effect on the Earth’s atmosphere in both time periods, creating the conditions necessary for this creative take on time travel. John and Frank are able to communicate verbally across the decades, and they take advantage of this fluke in the space-time continuum to make some big changes. 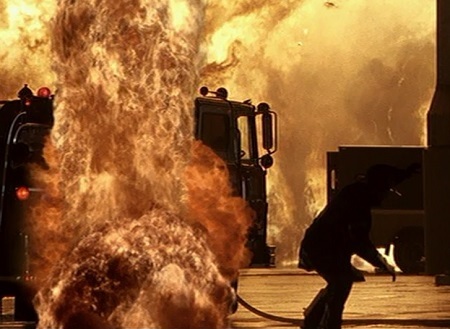 First, John helps his father narrowly escape his own death in a fire. Then the two of them work together to solve a series of unresolved murders in 1969. 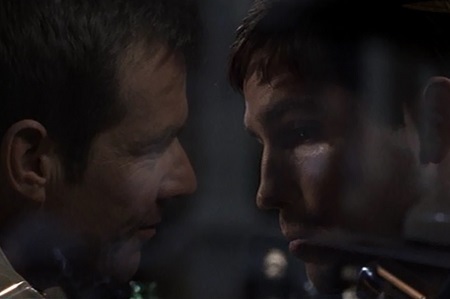 The chemistry between actors Dennis Quaid and Jim Caviezel is a wonder to behold. I ache to see these two be able to embrace each other as father and son. There is so much yearning in their performances and melancholy at how close and yet how far they are from each other. No matter how many things they change for the better or the worse over the course of their ham radio conversations, it seems like the one constant is Frank’s death before 1999. This film works so well because it keeps the audience in constant suspense about whether or not Frank will live see his son once more. I haven’t wanted to see a father and son get together this badly in a time-travel movie since Field of Dreams. I love how Frequency keeps drawing the Miracle Mets into the story, first using them as a way to convince Frank of John’s identity as his son and then helping Frank convince his wary police officer friend that he has knowledge of the future, courtesy of his son. It’s a miracle that the two met in the first place, so the whole thing is just perfect. In addition to Quaid and Caviezel, there are quite a few other famous actors who show up in this film. 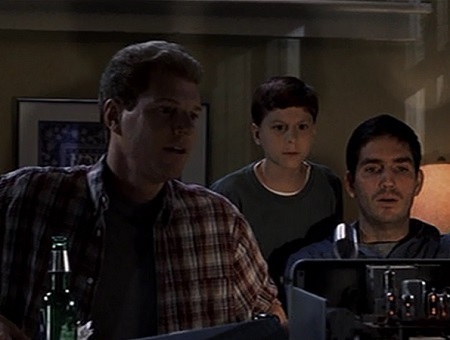 An 11-year-old Michael Cera shows up briefly as the son of Noah Emmerich’s character. Emmerich plays Caviezel’s friend since childhood, and this was just two years after he played a similar role in The Truman Show. He’s just a perpetual best friend. 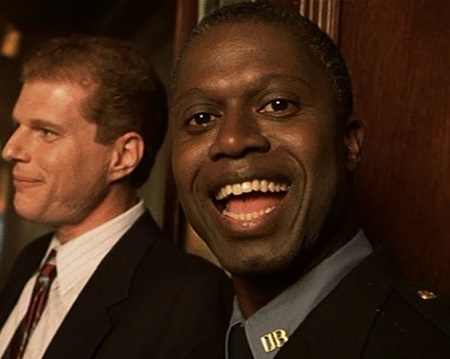 Andre Braugher appears as a police officer in both time periods, acting as a sounding board to demonstrate how changes in the timeline have affected everyone around John and as a doubting Thomas to Frank. Actually, Thomas is an apt analogy because Braugher’s first big Hollywood role was as Matthew Broderick’s childhood friend Thomas in Glory. I don’t dare spoil this film’s climax. I’ll just say that your heart will be pounding with suspense right up until the final resolution. The way this movie ends is nothing short of brilliant. For a movie called Frequency, you don’t hear it talked about very often. Much like the Back to the Future Trilogy, Frequency is more than a time-travel movie. It’s such a clever movie. Whereas Marty McFly skipped over all of the intricacies of the multiple timelines his changes to the past caused, John experiences every minute change to his timelines. The scene where his father avoids dying in a fire is like nothing else I’ve ever seen. The film is constantly coming up with creative ways to show changes that occur as the characters modify the past and affect the future. And it has one last trick up its sleeve at the end involving the villain changing his destiny, which I am stunned by every time. Once you’ve seen Frequency, you’ll hopefully be inspired to revisit it on a regular basis. This entry was posted in Forgotten Film Gems and tagged baseball, fathers, films, frequency, history, movie review, movies, relationships, science fiction, sons, time travel. Bookmark the permalink. Did you know this movie has been adapted for TV? The first season started this fall. I did not know that. That’s great! I hope it turns out well. This time-travel concept lends itself to a lot of cool possibilities and scenarios. The pilot didn’t strike me as interesting, so I can’t comment. But it is an interesting idea, yes.